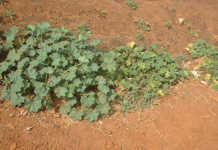 Watermelons are a warm season crop, but can be started in winter in areas where conditions are milder. An exceptionally high-yielding icebox-type watermelon. tend to prefer large watermelons, which is sometimes difficult to understand. The bigger type tends to be too large to be eaten at one sitting, so the leftover piece has to be stored in the fridge – never easy considering its size. But common sense rarely prevails when it comes to buying habits – and if the public wants large watermelons, so be it. We’ll grow them! Nevertheless, there is an increasing market for smaller fruit of 5kg or so among those who have given some thought to the ‘size issue’. Often appropriately referred to as ‘icebox types’, these also tend to be earlier maturing, providing the price advantage already mentioned. Seedless watermelons are another type. Many consumers still have no idea of their existence, and if told about them, find the notion difficult to believe. How, they ask, is it possible to grow these watermelons if there’s no seed? One might as well as ask where mules come from, as these animals are ‘sterile’. In the case of seedless watermelon, the chromosomes are doubled on one parent, called a ‘tetraploid’. This is crossed with a ‘diploid’, a watermelon with the ‘normal’ single set of chromosomes. 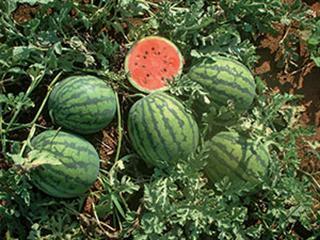 The sterile hybrid is called a ‘triploid’ – and seedless watermelons are also called ‘triploids’. Apart from the size issue, there’s also the matter of colour. The flesh of watermelons varies from red and pink to bright yellow and orange. The conservative South African public does not really go for the more unusual colours, however. More important for the grower is the colour of the rind. The shade is an indication of yield, disease resistance and ability to travel well. Eating quality is also linked to rind colour. In my youth, the darker-coloured Congo variety dominated the market. Then, when Allsweet started to come in, our family switched to that, as you had a greater chance of buying a tasty one! Watermelon types are loosely classified according to rind colour, size and shape. Hybrids that are large and oblong with dark green stripes are referred to as Allsweet types. Charstone Gray is a popular light-green variety and there are a huge number of open pollinated and hybrid types with a similar colour that are referred to by the same name. Rind colour is not only useful for identifying a variety or type, however. It has practical significance. Black or dark-green varieties are susceptible to sunburn. 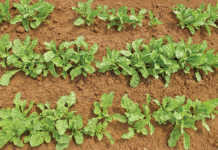 Round varieties are especially prone, as the top is more exposed to strong sunlight than are oblong types. This factor alone has ruled out a number of varieties in South Africa. Large watermelons are also best in the oblong form, as this makes transport and handling easier, not to mention trying to fit one into the fridge. Smaller melons can be either oval or round. If you’re trying to sell a watermelon variety that is unusual or special, make sure you identify it clearly with a sticker or label. 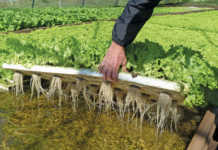 This is particularly important with seedless varieties, as they tend to appear similar to many seeded types. Email Bill Kerr at [email protected]. Please state ‘Vegetable production’ in the subject line.